Have you ever seen something and said “wow, that looks like fun, I want to do that”! 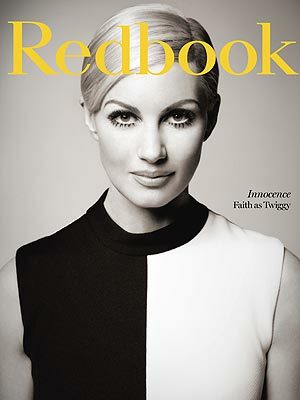 When I saw these cool photo’s of Faith Hill in this months Redbook that is exactly what I said. First I love the 60’s and 70’s style but to have a professional transform you into an icon for a photo would be a great gig for someone. And yes, we all know I would pick Cher but there would be a whole other list I would want to…I love the old fashion glamour of Hollywood. Now to look at someone skydiving…I’ll pass on that. Let me look like Marilyn Monroe for a photo…now that’s business. I will have to look in the yellow pages. Who would you choose for your photo? 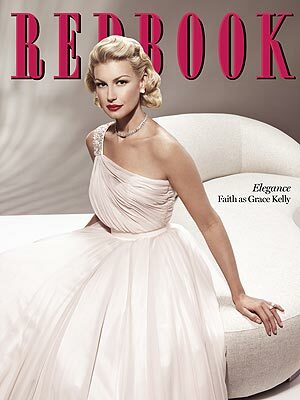 Oh man far and away Faith Hill as Grace Kelly was beyond stunning!